In 1900 the great German theoretical physicist Max Planck formulated a correct mathematical description of blackbody radiation. Today, understanding the behavior of a blackbody is of importance to many fields including thermal and infrared systems engineering, pyrometry, astronomy, meteorology, and illumination. 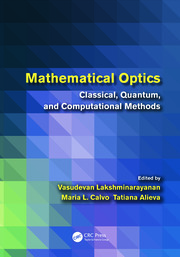 This book gives an account of the development of Planck’s equation together with many of the other functions closely related to it. Particular attention is paid to the computational aspects employed in the evaluation of these functions together with the various aids developed to facilitate such calculations. Section I – Thermal radiation and the blackbody problem are introduced and discussed. Early developments made by experimentalists and theoreticians are examined as they strove to understand the problem of the blackbody. Section II – The development of Planck’s equation is explained as are the all-important fractional functions of the first and second kinds which result when Planck’s equation is integrated between finite limits. A number of theoretical developments are discussed that stem directly from Planck’s law, as are the various computational matters that arise when numerical evaluation is required. Basic elements of radiometry that tie together and use many of the theoretical and computational ideas developed is also presented. Section III – A comprehensive account of the various computational aids such as tables, nomograms, graphs, and radiation slide rules devised and used by generations of scientists and engineers when working with blackbody radiation are presented as are more recent aids utilizing computers and digital devices for real-time computations. 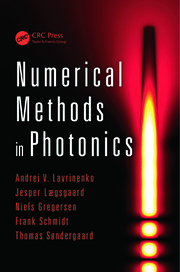 Scientists and engineers working in fields utilizing blackbody sources will find this book to be a valuable guide in understanding many of the computational aspects and nuances associated with Planck’s equation and its other closely related functions. With over 700 references, it provides an excellent research resource. Seán M. Stewart recently joined Nazarbayev University in Astana where he is an associate professor of engineering mathematics. Before moving to Kazakhstan, he spent eleven years working at The Petroleum Institute in Abu Dhabi, United Arab Emirates, where he was an associate professor in the Department of Mathematics. His main research interests lie in the fields of applied mathematics and in the history of computation. 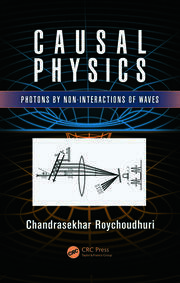 R. Barry Johnson has been involved for over 40 years in infrared technology, lens design, optical systems design, and electro-optical systems engineering, and has used many of the devices and techniques described in this book, and knew many of the individuals mentioned therein. He developed the method of integrating Planck’s equation using the method of Gauss–Laguerre quadrature. Dr Johnson is a Senior Research Professor at Alabama A&M University and has been a faculty member at two other academic institutions engaged in optics education and research, employed by a number of companies, and has provided consulting services within the field. Dr. Johnson is an SPIE Fellow and Life Member, OSA Fellow, and is an SPIE past president (1987). He has been awarded many patents and has published numerous scientific and technical articles. Dr. Johnson was awarded the 2012 OSA/SPIE Joseph W. Goodman Book Writing Award for Lens Design Fundamentals, Second Edition. He is a perennial co-chair of the annual SPIE Conference Current Developments in Lens Design and Optical Engineering. 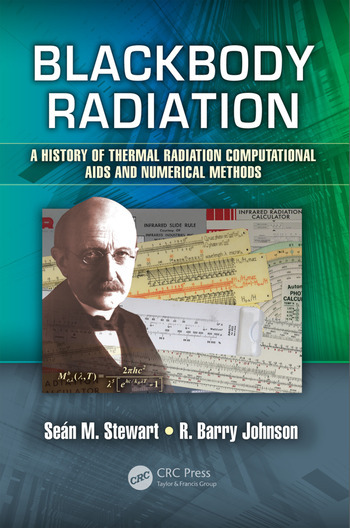 "This is an excellent history of the mathematical development behind radiation calculators and other computational aids told in terms of detailed mathematical analysis and historical narrative. It is well-written, comprehensive, and includes the most extensive treatment of the radiation slide rule I have seen anywhere." "The historical and mathematical details presented cannot be found in other books. It is a historic document, an impressive milestone. This book is not only very valuable for someone who wishes to understand the behavior of a blackbody, I recommend it also to those who are familiar with the subject, but want to know it all." "Blackbody radiation is covered in a wide and comprehensive sense, covering historical context, mathematical details, computational means and applications. This is easily the most comprehensive and well-researched compilation on blackbody radiation ever written. The book broadly follows a historical timeline, showing how the best available technology available at the time was used to compute results from Planck’s law. The book captures the ingenious beauty of mathematics, the nomogram and the slide rule to compute one of the most important physics laws in engineering."